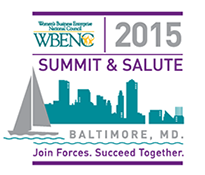 Wexler Packaging Products had the privilege of attending the WBENC 2015 Summit & Salute. The event was hosted at the Marriott Waterfront in Baltimore, MD, March 18th -19th. Highlights included a luncheon with keynote speaker Dr. Randall Pinkett, President and CEO of BCT Partners and winner of NBC’s The Apprentice. Pinkett spoke on the importance of being able to grow and scale in today’s economy and how partnership is key. A number of thought provoking workshops were offered, including a roundtable which brought together cross-industry perspectives on trends changing the various industries, the driving forces dictating their purchasing decisions, the factors that are influencing innovation, and the opportunities where WBEs can become a part of their supply chain. The importance of relationships and networking as vital keys for success was a major theme during the conference.  “Our business relationships and the ability to network is ultimately what has created the foundation for Wexler’s sustainable growth,” notes Utain. Speaking of networking, Wexler made some great connections during the Meet & Greet, liaising alongside top corporate players such as Bausch & Lomb, Apple, Procter & Gamble and the Kellogg Company. The conference ended on a high note with the annual Salute Gala, followed by a final post Salute Celebration. 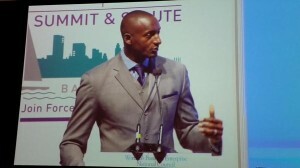 The WBENC 2015 Summit & Salute delivered as promised, in many ways exceeding our expectations. Some final thoughts as we chart our course for the future: Hire the right people to work in your business and dedicate YOUR time & talent to work ON your business – great advice! For more information, please visit www.wbenc.org/summit-salute.